Sometimes it is necessary to challenge something good in defense of something better. Most of the following exchange was first printed in the Tri Lakes Tribune, Monument's local paper, and is used here by permission. The editor declined to print the rebuttal to Mr. Belteau's response, so we include it here for your edification. What began as a substitute teaching job for an aspiring law student in the 1970s became a career that affected thousands of students in Lewis-Palmer School District 38. School District 38 Executive Director of Secondary Education Ted Belteau said his career in education began while preparing to enter law school. He took a job as a substitute teacher at an inner-city middle school in Greenville, S.C., and was hired days later to take over permanently for a teacher who had quit. "After the first week, I decided I needed to trade in law books for chalk dust, and I never regretted that decision," Belteau said. After 18 years of working for D-38 in a variety of capacities, Belteau will retire at the end of this school year. Before he moved to Monument, he said he had never lived anywhere longer than nine years. He added he "fell in love with the town and its people." "I still thank Dallas Strawn all the time for taking a chance on transplanted Cajun," Belteau said. When former D-38 superintendent Strawn hired Belteau in 1990 to be the Lewis-Palmer Middle School principal, he did not know him at all. When he was hired, the district was transitioning from a junior high to a middle school. The district had passed a bond issue for the new middle school, Creekside, Strawn said. Belteau helped with the school's design from the ground up, while continuing to fulfill his duties as the existing middle school's principal. He was an extremely confident and competent principal who had a genuine focus on kids, Strawn said. Whenever anyone wanted to see Belteau during lunch, they knew to look for him in the cafeteria assisting with meals and talking with kids individually every day. Strawn said he saw him help kids who were having trouble by purchasing coats, and doing charitable acts, for which he never sought recognition. He has a great sense of humor, Strawn said. Belteau gave credit to teachers and staff when the school did something well rather than taking credit himself, he said. He has a wide variety of skills, particularly in the legal area and how school law works, Strawn said. Belteau is good at understanding the law and making sure parents and students understand it when dealing with disciplinary actions. Since Strawn left in 1998, Belteau has been executive director of student services, executive director of personnel and executive director of secondary education. Upon reflecting on his time as an educator, Belteau said his most memorable times happened in a classroom when he was a teacher. He said his time as a teacher taught him the importance of listening. "If a teacher is open and listens, students are more than happy to share their ideas about what is important in a class," he said. " I learned that dates and dead white guys was not the important part of American history. It was the topics and concepts that mattered most. "Students want to be involved in their education as active participants and as teachers we are blessed to be invited into their world and asked to share," he said, adding he found his purpose as an educator came from his students, rather than from the subject he was assigned to teach. He said students taught him more than he taught them through life lessons and said he still likes to hear from students from decades ago. "I love Lewis-Palmer School District 38 and always will," Belteau said. " It is part of who I am and I am proud to have been part of it." I read the article about Mr. Belteau on the occasion of his retirement in the Tri-Lakes Tribune dated January 24, 2008. While he seems to be an exemplary citizen, Mr. Belteau made what may have been an offhand comment that, as an area educator, I feel an obligation to address. Mr. Belteau remarked that, “[He] learned that dates and dead white guys was not the important part of American history. It was the topics and concepts that mattered most.” Most of my heroes happen to be the very “dead white guys” that Mr. Belteau seems to dismiss. The history of Western civilization has fallen out of favor as a subject to be taught on many high school and college campuses, and some have even disparaged the notion of preferring it as superior to other constructs. 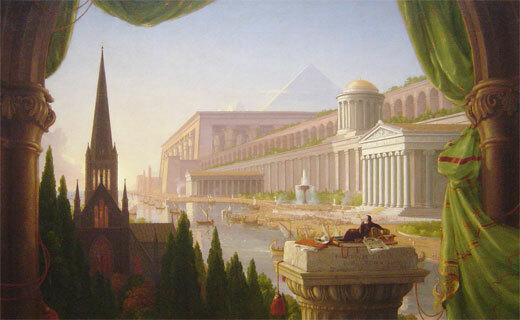 Western civilization is built upon three guiding principles from three unique streams of thought: Classical culture contributed the idea of liberty under law; the modern Enlightenment emphasized the idea of science and reason as a way to make sense of the world; and Christianity established the idea of individual worth while acknowledging the supreme authority of God. Western civilization has improved the lot of individuals within its sphere of influence. It has birthed governments that guard freedoms. It has fostered developments in science and technology that benefit millions. It has provided for merciful intervention in the lives of the poor, the weak, the disabled, the orphaned, the sick, and the marginalized. It has not done so perfectly in our broken world, or without periodic loss of focus. Still, it’s hard to argue with the masses that seek to emulate our freedoms, build on our advances, or immigrate to our shores. 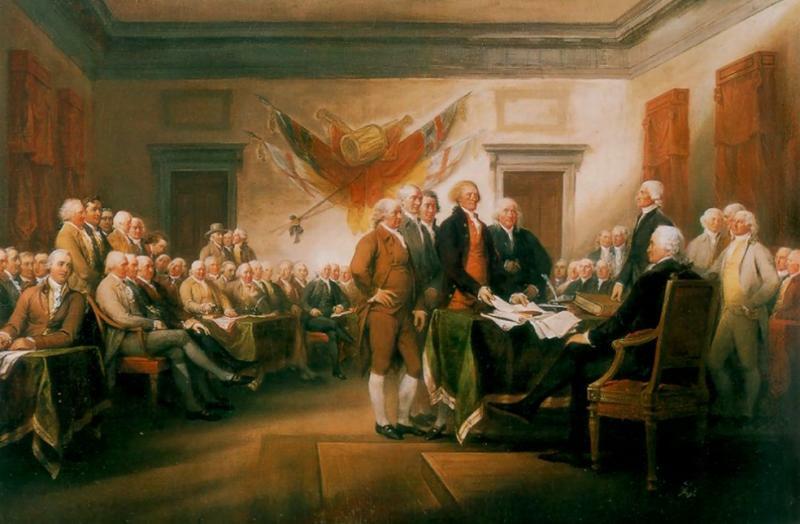 Upon the principles of Western culture, the American nation was built—mainly by “dead white guys” who sought to “establish justice, insure domestic tranquility, provide for the common defense, promote the general welfare, and secure the blessing of liberty” for themselves and all who came after them. Life Academy stands unashamedly with the “dead white men” who built this country, and we appreciate their noble and courageous deeds. We stand on the foundation they laid, and we owe them more than our collective dismissal. I guess I should know by now that no matter what a person says, someone will take offense or use their slanted interpretation of the original statement to further their ego, position, cause or business. So, just in case anyone besides Mr. Palmisano had any doubts or confusion about the quote I shared with Nicole Chillino for inclusion in a very nice article that she wrote about my retirement from Lewis-Palmer School District 38 [Jan. 23, The Tribune, "Belteau retires after 17-plus years with D-38"], let me clarify my statement. Yes, I did say that I learned (from listening to students!) that they were more concerned about topics and concepts relating to American history than dates and dead white guys. You see, when I landed in an inner-city school setting with African-American students asking why there weren't any black heroes in the textbooks, I realized that part of my work as an educator was to emphasize that the likeness we share as individuals outweigh the differences we exhibit in our colors, genders, religions, political affiliations, ethnic backgrounds, etc. Hate, prejudice and stereotyping may still exist in the United States, but no educational setting or educator should reinforce them by acts of commission or omission. Schools must promote the dreams and aspirations of all who attend. An emphasis on topics and concepts, rather than dates and people, allows the doors to open for all dates and all people, not just those chosen by the textbook companies. My position as a teacher allowed me to facilitate and guide, but the ultimate lessons learned belonged to the student. I know that those I was privileged to teach for the next 12 years learned many lessons in that classroom setting aside from those on the lesson plans I turned in each week. They learned love, respect, pride, appreciation of differences, acceptance, understanding and a multitude of other character traits that extend to all types of groups and individuals. They learned these lessons from each other and on a daily basis they taught them to me. The sacrifices and contributions made by those men and and women who occupied this portion of North America before and since it was named the United States inspire me on a daily basis. The actions of others that occupied and still occupy the same territory continue to confuse and sadden me. Hopefully those exemplars who are living, as well as those who have passed on, can assist us to achieve a collective dream of self and national betterment that is inclusive in its scope. The views and opinions express herein are mine. Please note, I didn't include any title I now have, have had or will have in the future or any reference to any school district or business that I have worked for or will work for. I really don't plan to discuss this in print again. I just felt that someone who had not read the quote carefully didn't have the right to lecture me in public. (Paul, you could have called). Thanks for "listening." Mr. Ted Belteau responded both personally and ideologically to the letter I’d written challenging his statement about the “dead white guys” that took second place to the “topics and concepts” which he preferred to focus on while he was an educator. He stated his reluctance to continue the discussion in public, which may be in his best interest because he accused me of not reading his quote carefully as well as using a slanted interpretation of his words to further my own “ego, position, cause, or business.” That was foolish, as he does not know me at all. Personally, I did not challenge his statement to further my ego. I know who I am. I am a native of New York City who did not “land” in the inner city as an adult, as he says he did. I grew up there, I was educated in its public schools there, I played competitive high school and college basketball there. I preached several times at an African-American church there. On 9/11, I voluntarily went to Ground Zero there, and arrived twenty minutes after the first World Trade Center tower fell. I went into the chaos, led victims to safety, and for the next six days I dug on the smoldering pile for survivors—survivors of any race or gender. I spent the first 43 years of my life in the City, teaching in its schools for two decades there. I founded and ran a program for the NYC Board of Education that served over-age inner-city male high-school drop-outs. I taught every subject, including World History, American History, and American Government. I do not need Mr. Belteau to “lecture me in public” on cultural diversity. It was on New York City’s raw, truly multicultural, streets and playgrounds that I learned that those who run their mouths in public get challenged publicly. I did not challenge his statement to further my position. I am not retiring. I am not at a loss for what to do vocationally. I am not seeking any position in the public or private sector. I am not seeking any other position than the one I have as founder and principal of Life Academy. I did, however, challenge his statement to further a “cause,” if you want to call it that. I stated that cause fairly succinctly, I thought: “dead white guys” used the foundational principles of Western Civilization to create the American Experiment, and nothing else has been superior to it either in its construction or its effect. Those who have dedicated themselves to its success—dead or alive, male or female, of any race—deserve more than the disdain and dismissal of those who prefer to construct pseudo-intellectual objections to educational content which would recognize their contributions. Ideologically, I did not “slant” or “misinterpret” his statement in the slightest. I did not misunderstand Mr. Belteau. I disagreed with him. There is a difference. I understand the philosophical context in which term “dead white guys” was coined and is used. It is not a compliment. It is not merely used to contrast individuals with ideals. It has been used for several decades in academia to denigrate the major proponents of Western civilization, the underpinnings of which provide the very bully pulpit from which its critics speak. I understand that other world cultures have much to offer. Teaching the tenets of Western civilization and exhibiting a preference for it is not necessarily antithetical to embracing cultural diffusion. There is no need to throw out either proposition; they are not mutually exclusive. But, I also understand that other world cultures are not “inclusive.” While it is an unpopular notion these days, it is a fact that most bastions of non-Western thought are anything but concerned about welcoming diverse philosophies into their cultural paradigms. They do not change because it feels good to do so, and it is not “hate, prejudice, or stereotyping” to point that out. ﻿who pledged their lives, their liberty, and their sacred honor to lay a foundation for liberty under law. Men and women of every race in every generation have joined themselves in this pact, and we should be proud to “know” them through respectful study of their accomplishments. I understand that the Bible (among other classic works) speaks of a contrast between wisdom and foolishness. It is foolishness for adults to abandon the role of mentoring their young toward greater wisdom in favor of teaching only what is relevant to the immature mind. What has this educational philosophy contributed over the past forty years? A curriculum that is bereft of its core. A pedagogy that hesitates to insist. A notion that “the children have more to teach us than we have to teach them.” A queasiness at assuming the authority to pass along wisdom and knowledge to young people that suffer without it. Somebody needs to show up each morning prepared to be the grown-up and to be wise enough to set the agenda. Respect for the “dead white guys” should be on it, as should a love for mother, a taste for apple pie, a desire for fresh air, a thirst for clean water, and a fondness for puppies. Copyright 2015 Life Academy Ministries. All rights reserved.